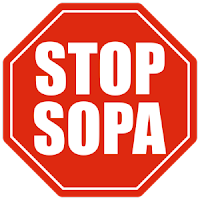 Like many Americans who took action to stop SOPA, I contacted my Congressman Steve Rothman of New Jersey's 9th Congressional district. I was very pleased with his response. See below. It's about putting your elected officials to work for you! Thank you for contacting me in opposition to H.R. 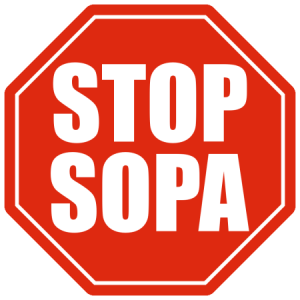 3261, the Stop Online Piracy Act. I appreciate hearing from you and I welcome the opportunity to respond. One of the side effects of the Internet's explosive growth is its impact on intellectual property and digital media. It is undeniable that broadband technology and increased computing power have made it easier to illegally disseminate copyrighted material. According to the U.S. Patent and Trademark Office, intellectual property in the United States is worth more than $5 trillion. The U.S. has been a leader in developing new technologies, and as a result, has been a major target of global theft. I am pleased that President Obama appointed Victoria Espniel as the first Intellectual Property Enforcement Coordinator at the Office of Management and Budget, a position created by Congress in 2008. She has overseen the Administration's strategy to tackle the wide range of problems associated with intellectual property enforcement including better coordination and cooperation between U.S. government agencies as well as private industry. As you may know, H.R. 3261 was introduced by Representative Lamar Smith (R-Texas) on April 26, 2011. If enacted, H.R. 3261 would allow the Federal Bureau of Investigation (FBI) to seek injunctions against foreign Web sites that steal music, films, software and other intellectual property created by U.S. firms. The bill also includes provisions that could hold third parties — payment-processing and other partners — responsible for piracy and counterfeiting on other sites. The bill would make the unauthorized web streaming of copyrighted content a felony with a possible penalty of up to five years in prison. This bill is currently before the House Judiciary Committee. I am opposed to H.R. 3261 because the provisions of the legislation would enforce Internet censorship, which would be in direct violation of the First Amendment. The measure would allow federal courts to order any Internet Service Provider to stop recognizing a website on a temporary restraining order issued the same day as the formal complaint is filed. Also, blocking entire domains or websites could suppress vast amounts of protected speech containing no infringing content whatsoever. Under this measure entire domains would be blocked based on finding infringing materials on a single sub-domain. This tactic could stifle technological innovation on the Internet and hinder startup companies from being competitive. I believe the Administration's strategy of increased cooperation between government agencies and private industry will reduce the intellectual property infringement occurring over the Internet. Agencies will increasingly go after foreign-based web sites and web services that infringe on our intellectual property rights. I will continue to closely monitor these developments and do my part as a federal legislator to ensure that the laws that protect our nation's intellectual property and Internet are robust, fair, and constitutional. Thank you again for contacting me. It is a privilege and an honor to serve you and to act as your voice in our nation's capital. Please feel free to contact me again with any other issue or matter that concerns you. You may also want to visit my website at www.house.gov/rothman where you can find out how I have voted on legislation, learn which bills I have introduced and cosponsored, and keep current with my latest activities and policy statements. Many tech start-up founders seek co-founders to help build their businesses. This can be a daunting task as nobody is going to be as dedicated to the start-up as the founder. 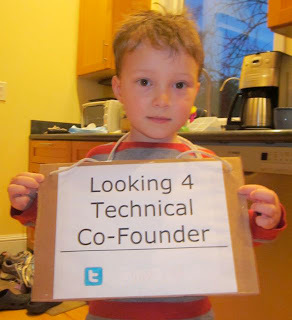 There are many things to consider when selecting a co-founder. Take my co-founder check list test. As the founder, your score should be over 10+, if it isn't then you have alot of work to do!